The place's name is Hummus and it's (almost) all hummus (almost) all the time. In fact, of the nine items on the entrée menu, eight involve hummus, the great Middle Eastern comfort food whose main ingredient is ground chickpeas. There's hummus with mushrooms and white truffle oil, hummus topped with an egg, hummus topped with fava beans, even hummus topped with tahini, which is a cousin of hummus made of ground sesame seeds. You get the point. 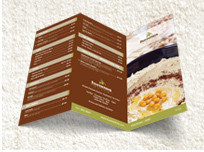 Hummus also is featured in several of the dishes listed on the appetizer and sandwich menus. Not that there's anything wrong with that. The hummus at this four-month-old restaurant in downtown Englewood has a fine rich flavor enhanced with salt and pepper, garlic, cumin and a touch of jalapeño pepper. It has about the smoothest consistency I've ever encountered in this earthy concoction. In addition to an inviting if idiosyncratic menu, Hummus Elite's entrée prices are on the low side so it's not difficult at all for two people to dine for $50 or less. To start, I ordered a bowl of lentil soup ($4.50), a lifesaver on cold, blustery nights and a longtime personal favorite. But it wasn't just lentils in the bowl before me; those little brown legumes had been cooked with fresh tomato, carrot, onion and celery, making for a great, satisfying flavor. The only thing that changes in the soup is that sometimes it's made without the tomato, Giyora Malka, the owner and chef of Hummus Elite, told me a few days after my visit. My friend and I shared a plate of six falafel balls ($3.95) that were cooked perfectly. The exteriors were crisp enough to crack slightly when I applied my fork. The filling, made of ground chickpeas, retained some of its moistness. The falafel balls were served with a silky tahini. We also divvied up an order of roasted eggplant served with tahini and lemon sauce ($3.95) and my only complaint – this from someone who has just lately come to appreciate eggplant – was that there wasn't enough of it. The proportion of veggie to tahini was way off kilter so that long after we polished off the eggplant, there remained a glut of tahini on the serving plate. For an entrée, I chose humshuka ($7.95), which was precisely as the menu described it: Hummus topped with stewed tomato, onion and peppers, plus a poached egg. Sounds routine, but this is a worthy dish. I must say, I never considered the idea of putting an egg on hummus, but the mingling of the yolk and the hummus was a nice discovery. The vegetables were cooked to the point where they were beginning to fall apart. But here, too, as with the roasted eggplant dish, I wish there had been more vegetables and slightly less hummus. My friend had the dish that bears the name of the restaurant. Hummus Elite ($8.50) is a large serving of hummus topped off with cooked mushrooms and white truffle oil, making for a savory and comforting dish. She also ordered a small fatouch salad ($3.95), a mix of chopped tomato, cucumbers, onion, and parsley that was lightly dressed with an uncomplicated mixture of olive oil and lemon juice, plus salt and pepper. "I like simple," Malka said. I don't know about you but I like to check out the dessert menu early in a meal to look for sweet surprises. At Hummus Elite I noticed something called ma'amoul, which I didn't recall from visits to other Middle Eastern restaurants. The menu described it as a shortbread filled with walnuts and dates and I immediately committed ma'amoul to memory. But when I asked for it, the waiter said they were all out. More's the pity because we wound up ordering two small pieces of baklava, which tasted like a thousand other baklavas – sweet and wheaty, with a slight crunch. It wasn't bad; it was ordinary. My friend asked for herbal tea, but all they had was Lipton, not her favorite. I asked for coffee and all they had was Turkish, a favorite of mine. It was robust and deep. Just don't stir it too vigorously or you could agitate the grinds and wind up with a mouthful. The tab came to $49.41 with tax and tip. Starters is a first look at new restaurants. It is a descriptive glimpse, not a critical review. Giyora Malka hails from Michmoret, Israel, but when it came time for him to devise his own fresh hummus, he needed a refresher. Having lived in the United States for a while, Malka had worked in high-end French and Japanese restaurants for seven years in Manhattan after graduating from the French Culinary Institute. So he visited his mother and brother, who owns a hummus restaurant in Israel, to re-learn how to make the ubiquitous spread. The product of his efforts can be tasted at Hummus Elite, the kosher-pareve Englewood restaurant Malka opened in August alongside co-owner Shlomo Cohen, who is also originally from Israel, specifically Kiryat Motzkin near Haifa. Nutrition information about and pictures of chickpeas decorate the small, 20-seat dining room with outdoor seating for 16. Malka and Cohen renovated the space for eight months, creating a simple, casual restaurant at the former location of Central City Coffee on East Palisade Avenue. While Malka admits he can't exactly duplicate the hummus found in Israel due to differences in local water, the restaurant's hummus has drawn praise from some who might be considered experts. "I'm trying to do it as close as I can," Malka says. "Every Israeli who has been in here told me that this is the best hummus they've had in the United States." Though supermarket hummus can safely sit in the refrigerator, Hummus Elite's (available by the pound for takeout) is "good for two days max," Malka says. That's because no preservatives are used in its preparation. Malka intended all dishes at Hummus Elite to be "simple, yet fresh," able to be served within five minutes, and, while using organic ingredients, still inexpensive, all under $10. Since the restaurant is kosher-pareve (neither meat nor dairy), most dishes are also vegetarian (except for one with tuna) and some are vegan (except for those with egg). Popular so far are the restaurant's hummus sabbich, topped with roasted eggplant, as well as the falafel sandwich. The eponymous Hummus Elite platter is topped with mushrooms and white truffle oil, a gourmet touch that's also available as a side. A non-vegetarian option is the Tunisian fricassee sandwich, made with Malka's homemade deep-fried Tunisian bread, which he likens to a doughnut. The sandwich is stuffed with tuna, kalamata olives, egg, potato salad, pickled lemon and hot sauce. Hummus Elite's salads include a quinoa salad made with cucumbers and fresh mint, while appetizers include a tahini plate. Customers have a choice of regular and whole-wheat pitas. Shortbread pastries filled with dates and walnuts and Moroccan tea biscuits are available for dessert. Drinks include homemade mint lemonade as well as Turkish coffee and hot mint tea. A $9.95 lunch special runs until 4 p.m. weekdays, offering hummus or a sandwich with an appetizer and soda.